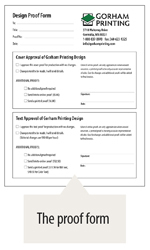 Before we start, we will send you Text Design Explained to read, and a Text Design Checklist to fill out. We will import your text file into Adobe InDesign, a professional page-layout program. We require a .doc or .rtf file. This format can be saved from most word-processing software. What we design will not look like your original document, although we will pay attention to the original way that you’ve organized the document. We will chose an appropriate typeface that we feel works best for your book. Our software will ignore some settings from your original program, such as; margins, page numbering and headers. Also, the page locations will move, so your page 7, for example, may be different than our page 7. We follow the rules of the Chicago Manual of Style, which outlines every detail for professional page layout. We adhere to these standards to produce a professional, salable product for you. If you would prefer to follow your own set of standards, we recommend that you provide a PDF rather than pay for this expertise. We do not edit, rewrite, or proof your content. Your text file must be thoroughly edited before you give it to us to begin the design process. We don’t "type." We take the words that you have typed, and change it into a professional, readable design. All words in your book need to be provided to us as a computer file, not provided on paper. Design Level per page price does not include images, those are priced for each image. If your book has images, we will optimize your images in Adobe Photoshop to balance out the darks and lights. We also crop, sharpen and resize. Before we start, we will send you Cover Design Explained to read, and a Cover Design Checklist to fill out. We will design your cover using Adobe InDesign, Photoshop, and Illustrator, three professional design programs. We will first review all of the items that you provide, and we might check out other cover designs in your genre to get a feel of your market. Although we can’t read your entire book, we do “skim” your text. If you have not provided an image for your cover, we will research possible stock images, and we will download any images that we think may work for a rough draft. Watermarks may be visible at this stage. Appropriate typefaces are chosen to complement the cover imagery, as well as the “feel” of the book. Visual appeal, readability online or in print, as well as the audience are all considered. While we take into consideration your preferences for the design, we may choose to take our own approach if we feel that we have a more marketable idea. Sometimes authors have a very literal approach to the cover design, when often a more abstract concept is needed. You know your book better than anyone, so we do carefully listen to your opinions. Ultimately, the cover is yours, and we want you to be happy with it! After we agree on the Design Comp of the cover, we will purchase the high resolution stock images for use on the cover, finalize the design, and print a proof. We don’t provide illustration. Custom illustration is best done by a professional illustrator in advance of the cover design process. We do NOT edit, rewrite, or proof your content. The files you provide must be thoroughly edited before you give them to us to save you money on later edits. We don’t “type.” All words on your cover need to be provided to us as a computer file, not provided on paper. For Level 2 and 3 text design, we will email a single chapter Design Comp for you to look at, to approve or adjust the design. We will then make those changes, and send the Official Proof. For Custom cover designs, we will email a cover Design Comp for you to look at, to approve or adjust the design. We will then make those changes, and send the Official Proof. A Proof Form will be sent with every Official Proof, which must be filled out completely, signed by you, and returned to us before we can proceed to the next step. We must receive a completed Proof Form for every proof. A new proof will incur additional charges. Prices are based on hourly estimate, if time exceeds that allowed, more charges could result. Design is "work for hire" the design is the property of the customer.